Our Long Mechanical division has proven experience in handling large-scale commercial and industrial mechanical projects. Our highly trained technicians and tradesmen work throughout the Midwest installing, maintaining and repairing a wide range of plumbing and piping systems in a variety of building environments. Throughout each job, high quality workmanship and safety protocol are top priorities. Commercial mechanical work requires a broad set of technical skills to meet the unique challenges of this industry. Our experienced plumbers, pipefitters, sheet metal workers and certified welders meet these challenges head on. The result? 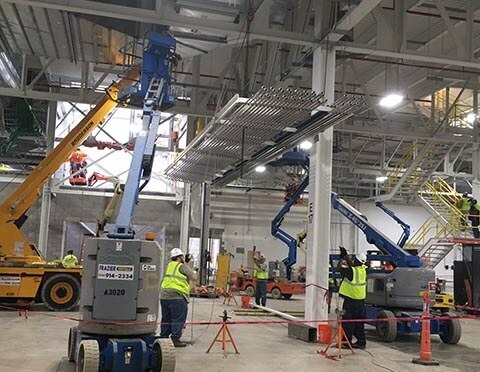 Facility managers and construction professionals have a mechanical contractor they can depend on to provide not only reliable and timely services, but who can also offer solutions that improve system functionality and efficiency. How can we help you? New construction projects or renovations, Long Mechanical can install commercial plumbing (hot/chilled water piping, sanitary sewer/drain piping, gas lines), and provide and install bath, kitchen or break room fixtures. We can also fabricate piping for a variety of processes, such as industrial paint systems and medical gas piping systems. We install boilers and commercial water heaters as well. Regular systems inspections, plus planned and preventative maintenance performed by Long Mechanical's experienced technicians will keep your systems in top working order to ensure continued operation. Regular maintenance can save you money in the long run by adding years of life to your equipment, reducing down-time and avoiding emergency repair costs. 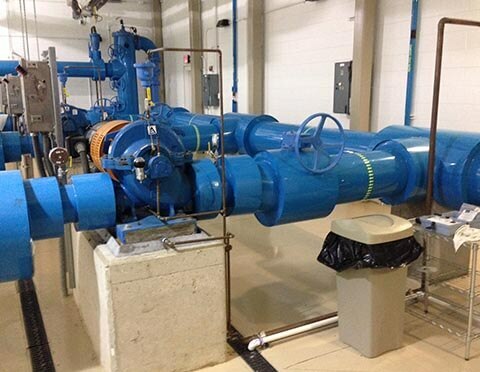 We also install and provide annual testing of Backflow Preventers. Annual testing is required by local communities; we have State Certified Testers on staff. When equipment breaks or systems fail, count on Long Mechanical's quick response team to get things working again as soon as possible. Emergency repair service available 24/7. Our goal is a satisfied customer and based on our repeat business and client testimonials, we are doing things right. Our customers recommend us for our exceptional quality, competitive pricing, integrity and attentive customer service. Just a few examples of our work to showcase our mechanical contracting capabilities. 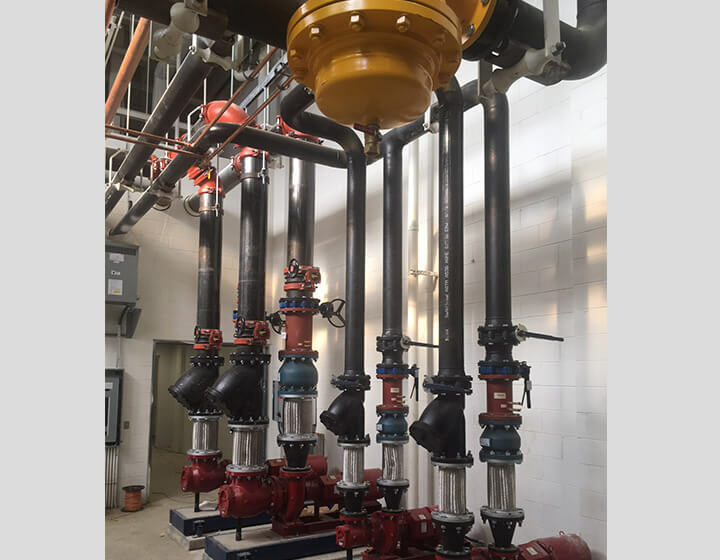 Pump and piping installation for a municipal water pumping station. Paint circulation system installation at an automotive assembly plant. Boiler replacement at a middle school. 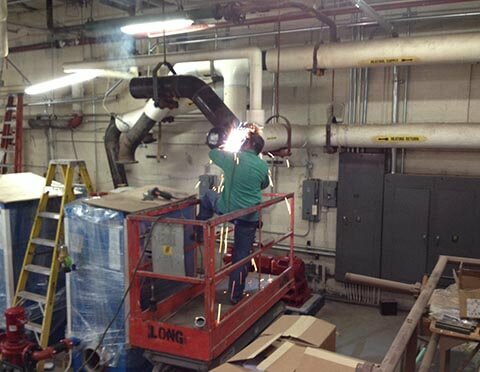 Piping installation for research lab. 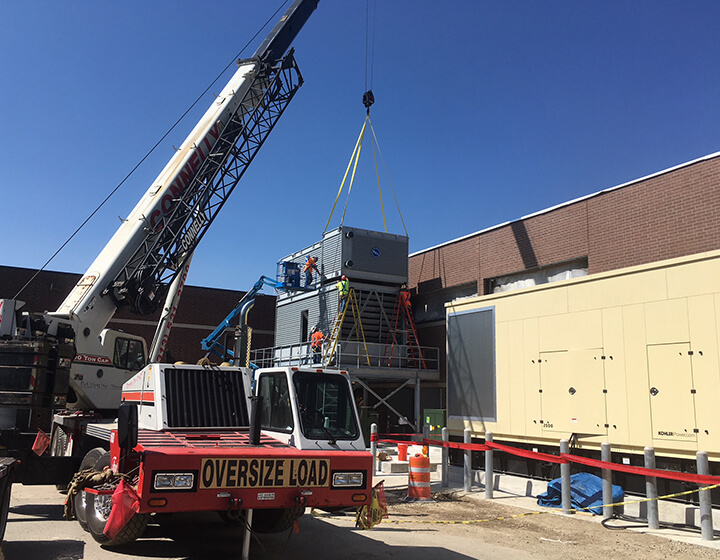 Cooling tower installation at testing facility.